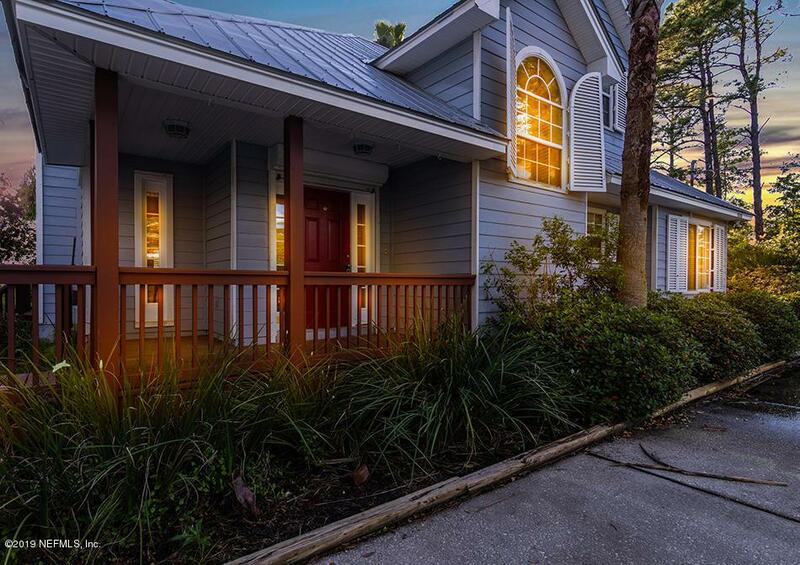 Located on desirable Black Hammock Island, this stunning one of a kind home sits perfectly on a lot gorgeous lot backing up to the marsh. Boasting beamed and vaulted high ceilings, this open concept floor plan is inviting and bright with ample natural light. 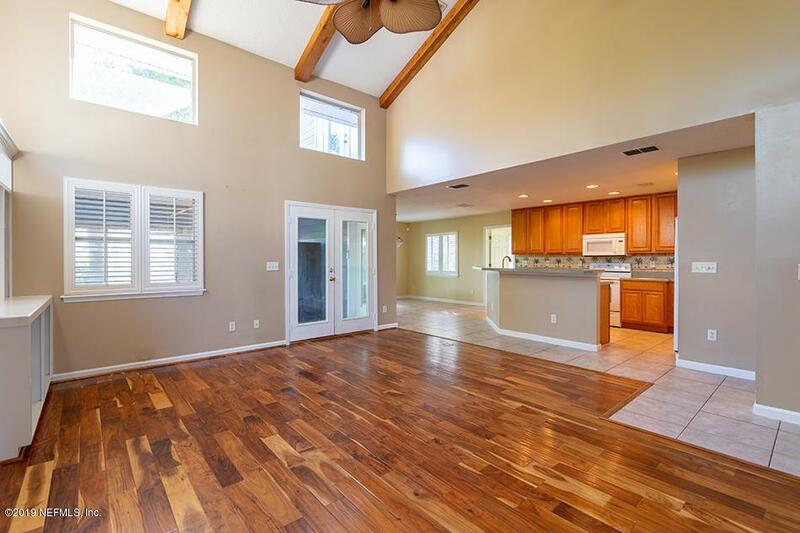 Entertaining is a breeze with the glassed sunroom and back porch opening up to the large fenced yard. The spacious owners retreat is located upstairs for ultimate privacy, complete with french doors that lead to an open deck balcony. Enjoy the serenity of nature in your own tranquil oasis overlooking Pumpkin Hill Preserve. 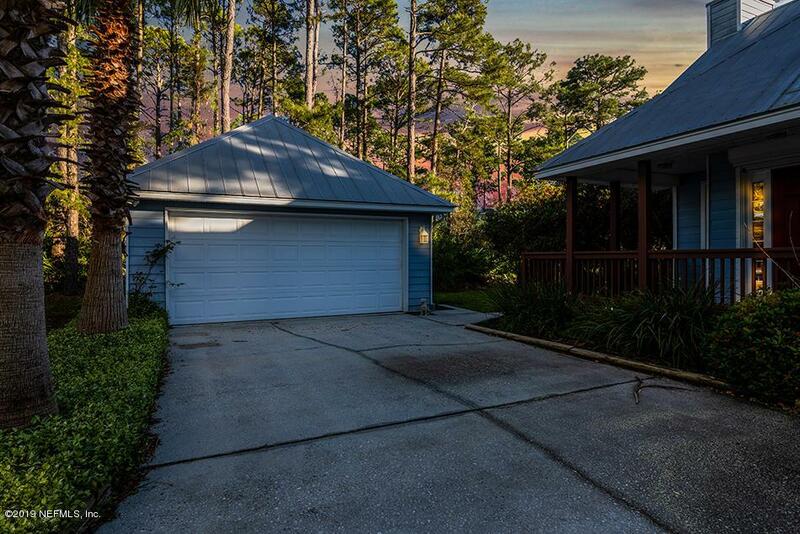 This home is equipped with advanced hurricane shutters, metal roof, and detached two-car garage. 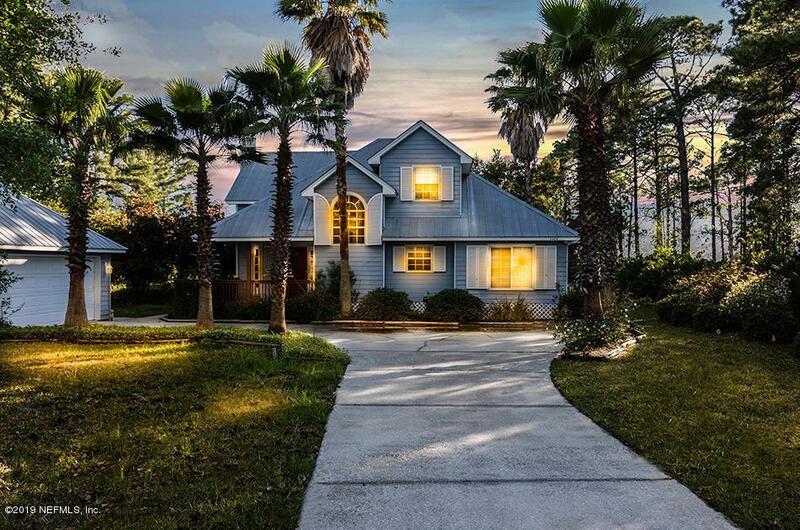 Come see this fantastic .75 acre property and all that it has to offer on the exclusive Black Hammock Island!